Black and Decker Power Driver 3.6V Cordless Screwdriver has forward/reverse, automatic spindle lock, pivot drover and high power: 40 in. - lbs. of torque. 180 RPM. 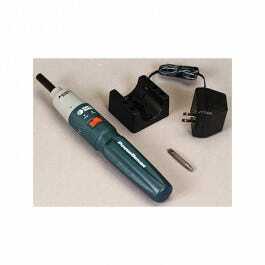 Includes screwdriver, battery, charger, and bit (two sided, Phillips and slotted).